Thanksgiving is almost here and much of this holiday is centered around the kitchen. By the time the time you’re finished cooking a magical family feast, you may be thinking that its time for some kitchen updates. 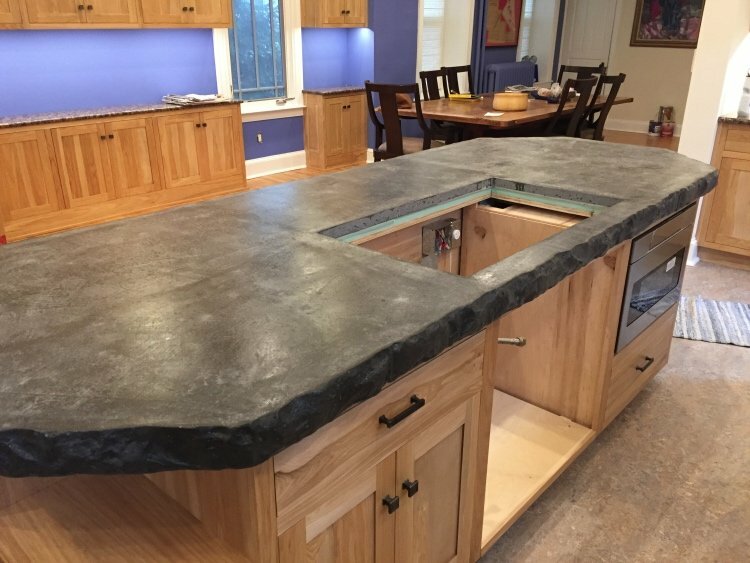 Maybe you have already started thinking about giving your kitchen a facelift but don’t want to generate tons of waste? That’s where Down2earth Interior Design comes in. 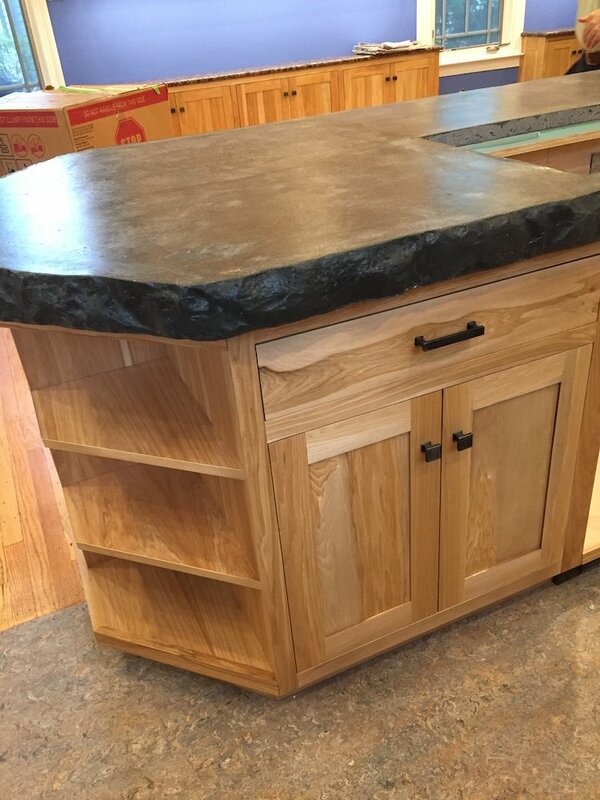 Here are several helpful strategies to employ to spruce up your kitchen while limiting your contribution to landfills. 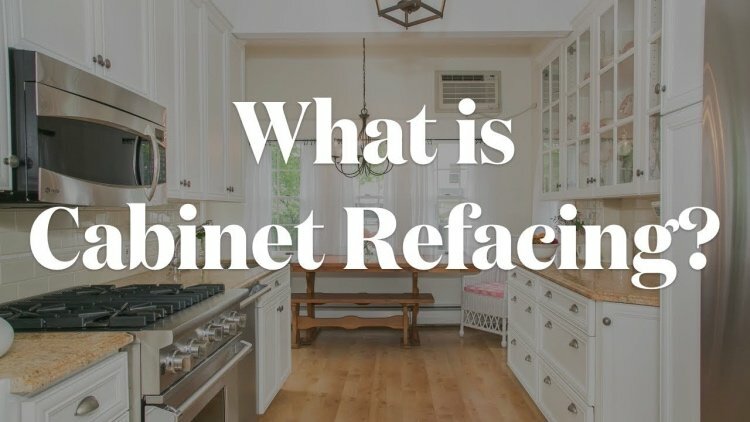 There are organizations that will pick up your old cabinets and appliances, provided they’re still working. Amy donated her kitchen cabinets, microwave, oven, and dishwasher to Habitat for Humanity. They operate secondhand retail outlets called Restore, which sell to homeowners looking for kitchen items at deep discounts. 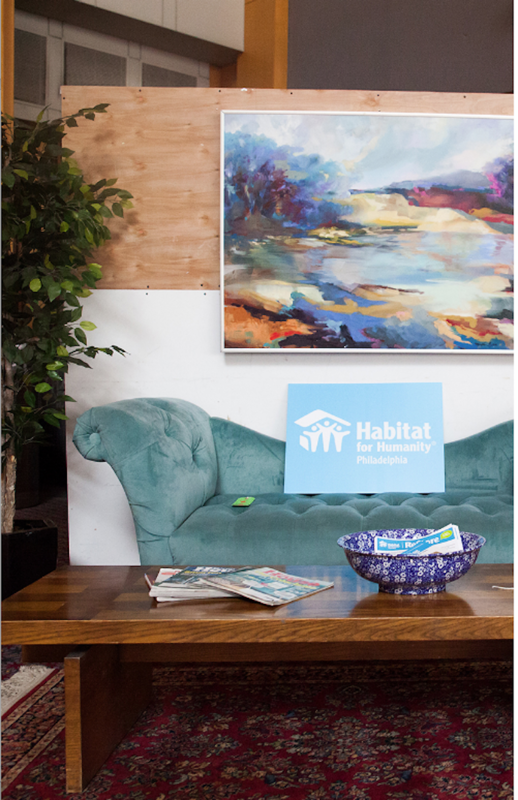 See our previous blogpost about them here, and find your local restore below. Do you know about Restores? 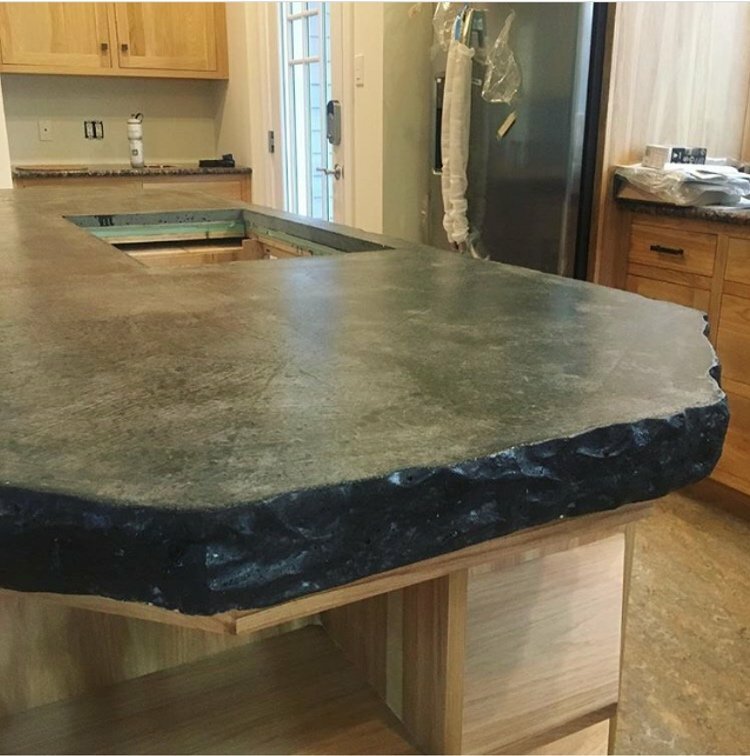 Amy is just wrapping up a kitchen project for a client where we are reusing their existing granite perimeter countertops. 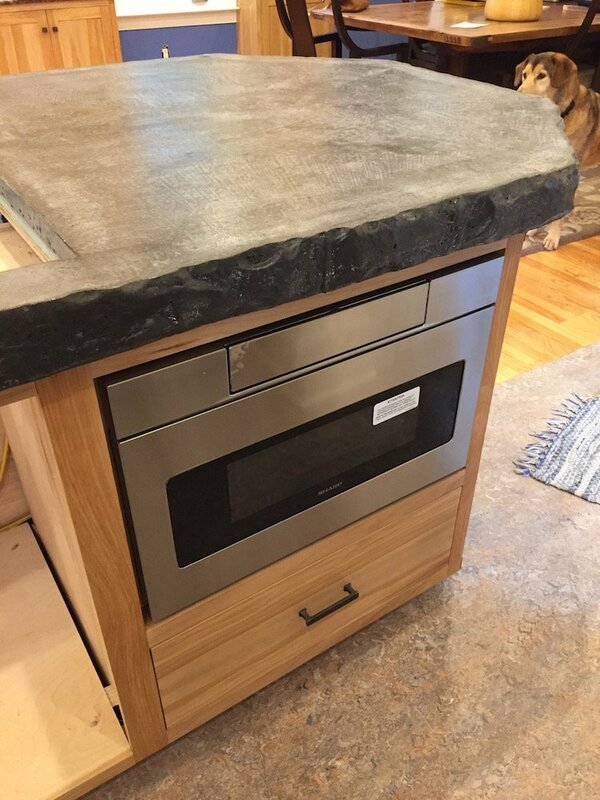 A risk of this technique is that the counter may break when removed, but with skilled contractors, hopefully that break can be controlled and minimal. 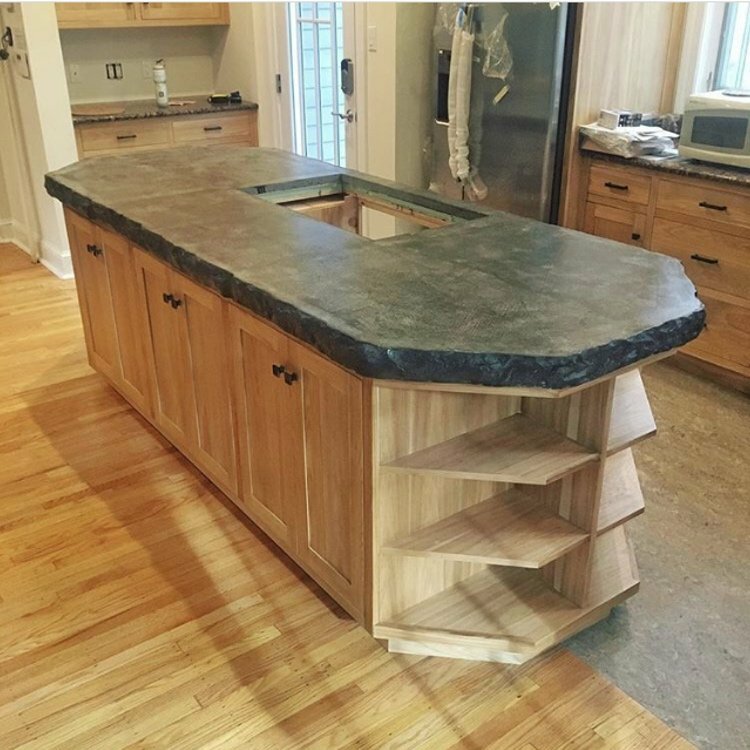 In this case, two additional seams needed to be added near the sink to piece the granite back together, but it takes a high level of scrutiny to notice and is certainly worth it to many homeowners to reuse a material that is beautiful, durable, and still has many years of life left. And choose green material where you can’t reuse. 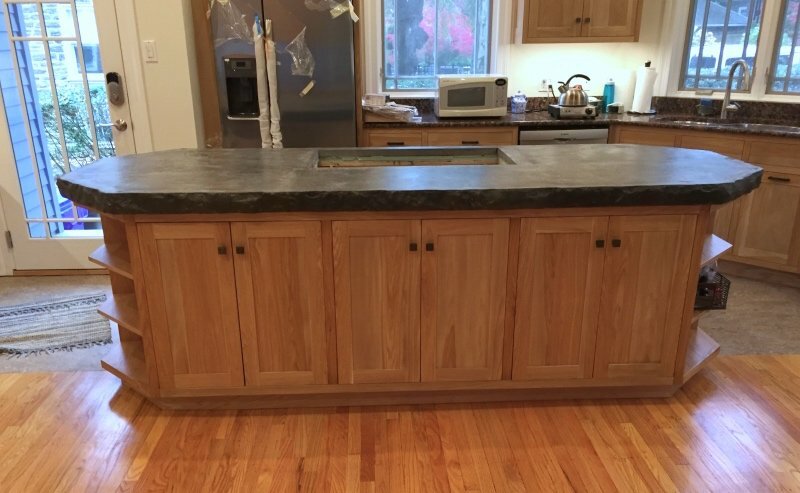 For this same kitchen redesign, the island changed shape, requiring a new countertop material. We’ve opted for concrete. 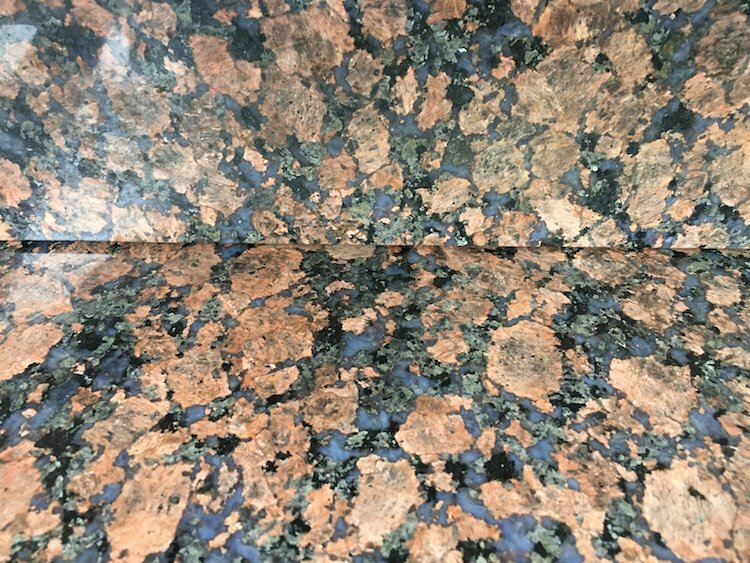 Concrete is considered a green material because the main raw material for the cement in concrete is limestone, which is very abundant in nature. Concrete can also be made from other materials that are considered waste byproducts from manufacturing facilities. Concrete has a long lifespan and can be produced in quantities tailored for your project, reducing waste. And when it’s time to retire your concrete counter, it can be crushed and recycled to be used for road material. We hope this helps inspire you to think about changing up your interior design ideas in ways that reduce, reuse and recycle. To share in Thanksgiving, our d2e team wanted to share with you a recipe for a delicious apple pie, click here for the recipe and enjoy! This is really great. I liked This post. Thanks a lot for sharing.